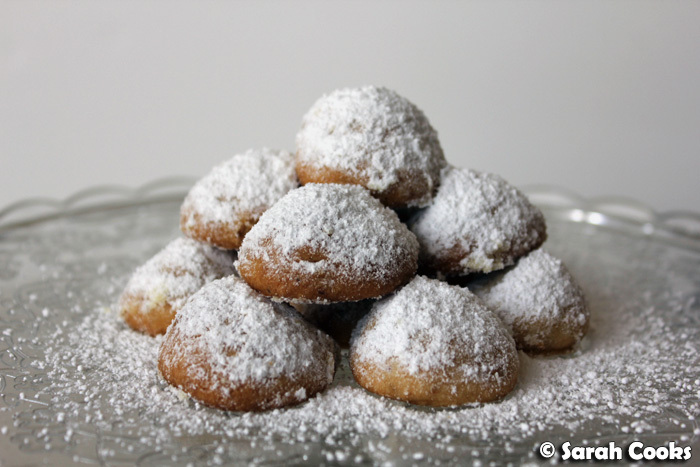 I made these Mexican wedding cakes when I wanted a something small and sweet to go with coffee at a dinner party, but didn't want to go all out with a proper dessert. 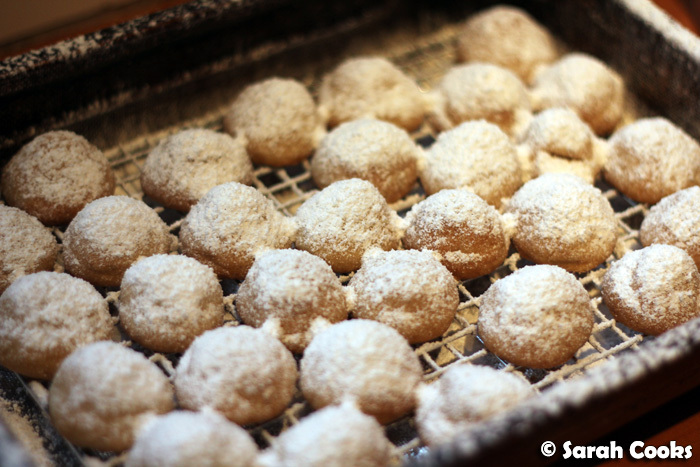 Made with ground nuts - pecans, walnuts or hazelnuts are traditional - and lots of butter, these are crumbly little shortbread biscuits, heavily dusted in icing sugar, much like my beloved Vanillekipferl. I first found a recipe for Mexican wedding cakes in Belinda Jeffrey's Mix and Bake, which she herself got from her Auntie Beryl. However, whilst researching the recipe online, I realised, that like many traditional recipes, there are hundreds of versions out there, all of which are pretty much the same. Lord knows who 'invented' the recipe, or who owns the original copyright, if such a thing is at all possible! I took elements from a few different recipes to get my recipe, below, based on what I thought would work well. I also adapted the traditional biscuit to make the most of some gorgeous hazelnuts I'd been given by Wendy at Fare Enough in Euroa. (See my blogpost, here.) 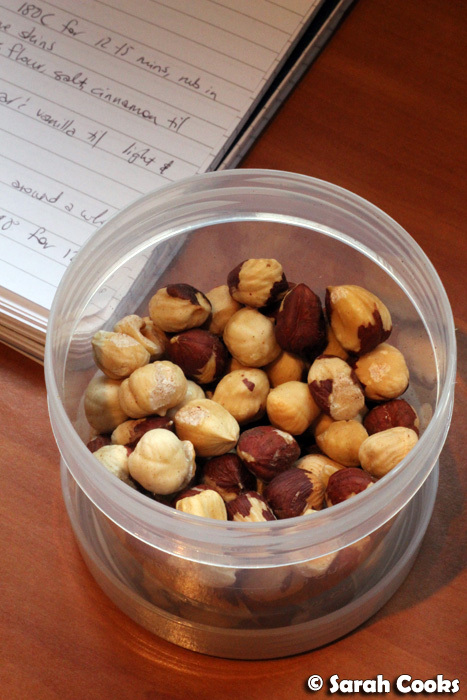 They were so fresh, slightly sweet and very hazelnutty, and I wanted to show off and intensify their inherent hazelnuttiness as much as I could. 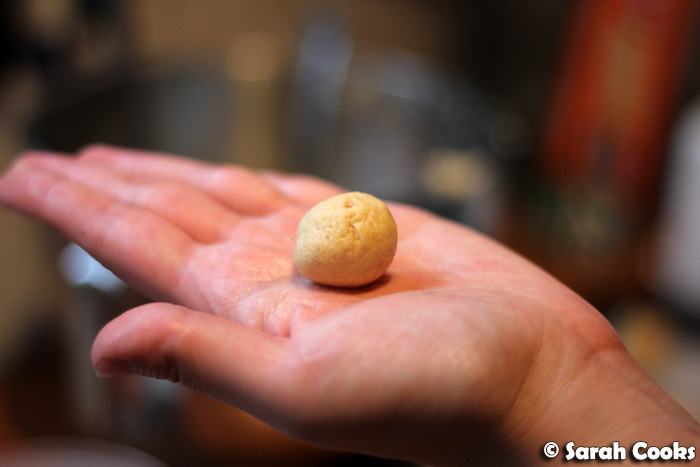 As per tradition, I toasted some of the hazelnuts in the oven, before grinding them with flour, salt and cinnamon, to use in the biscuit dough. And - here's where I diverge from tradition - I included one whole hazelnut in each biscuit, for an extra crunchy surprise! (This idea came from baker extraordinaire Duncan, who made fab hazelnut shortbreads to bring to a party I hosted a couple of years ago). And roll it up to encase the hazelnut! 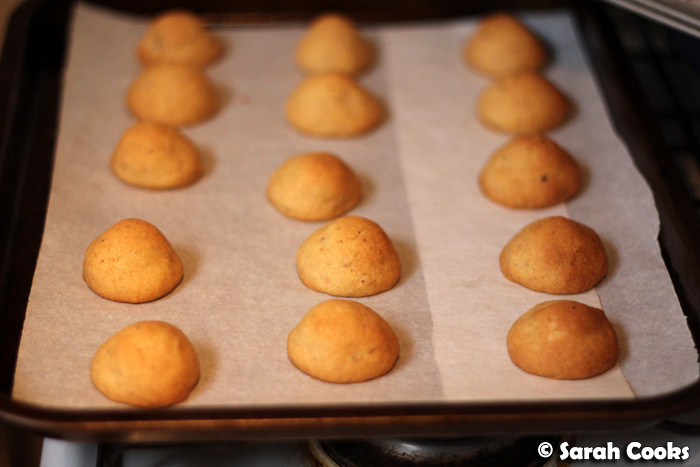 Using a scant teaspoon of dough for each hazelnut, I ended up with 69 (heh) biscuits in total. Obviously the number of biscuits you get would change depending on how generous you are with the dough. These are absolutely beautiful biscuits - very short, crumbly and delicate, with a wonderful nuttiness from the combo of ground and whole hazelnuts. If you happen to come across some proper, very fresh nuts, I'd highly recommend you give them a go! Preheat the oven to 180C. Place the 70g hazelnuts on a baking tray in a single layer, and roast for 12-15 minutes, or until lightly golden brown and fragrant. Allow to cool slightly, loosely wrapped in a clean tea towel. 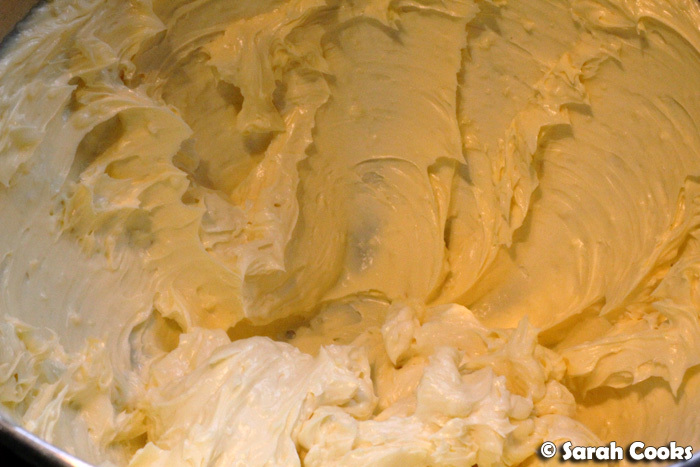 Rub vigorously to remove as much of the papery skin as you can. (Don't get too worked up about it, a few flecks of brown won't harm the finished product). Place the roasted and denuded hazelnuts, flour, salt and cinnamon into the bowl of a food processor fitted with the double blade, and process until the hazelnuts are finely ground. Set aside. 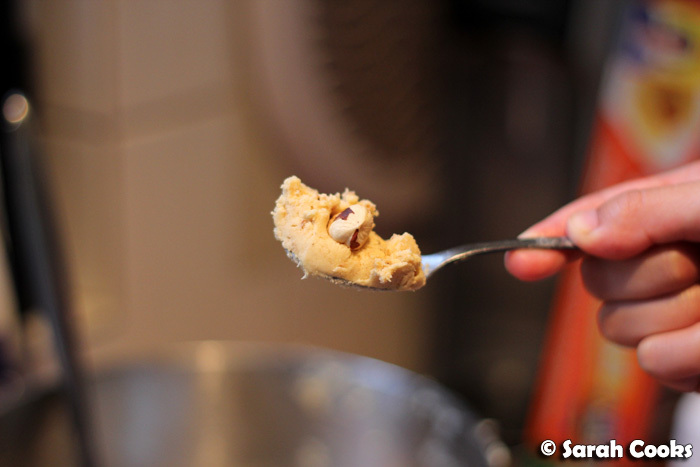 Take a scant teaspoonful of the mixture, press a whole hazelnut into it, and roll the dough to encase the hazelnut. Place on a lined cookie tray, leaving a little room for spreading. 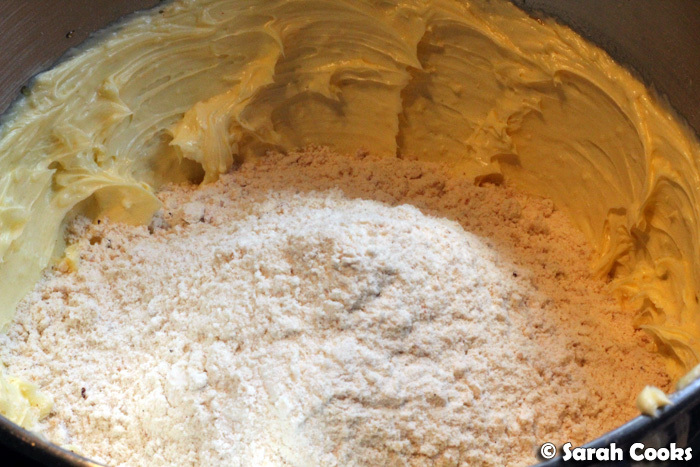 Repeat with the remaining dough. Bake for 10-15 minutes, or until golden brown at the edges. 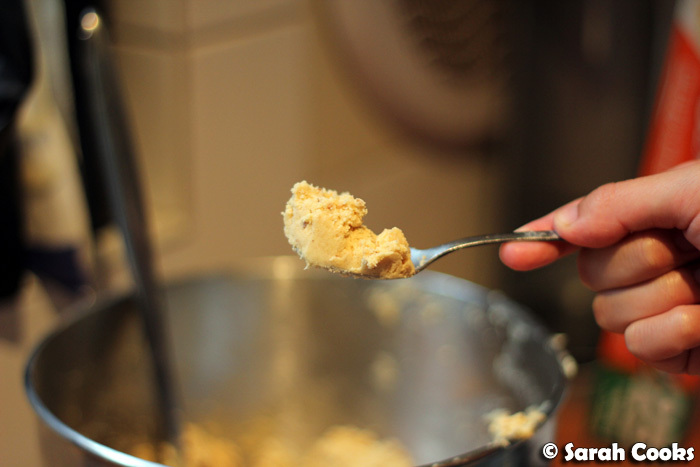 Dredge the biscuits thickly with icing sugar and allow to cool slightly before digging in. This sounds absolutely gorgeous. 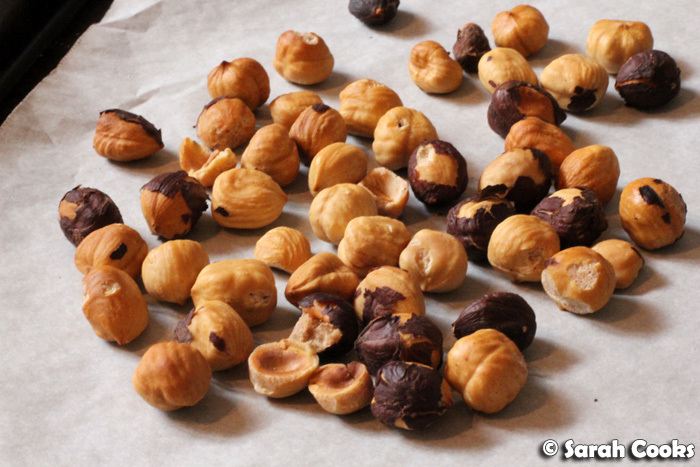 I'm already thinking that if you had the time to make them from various different nuts, what fun it'd be to pick them out from a pile of mixed ones - double the surprise! Ahhh so amazing sounding and I'd be totally addicted to these! I-Hua - Thanks so much! It's tricky, you can't just stop at one!